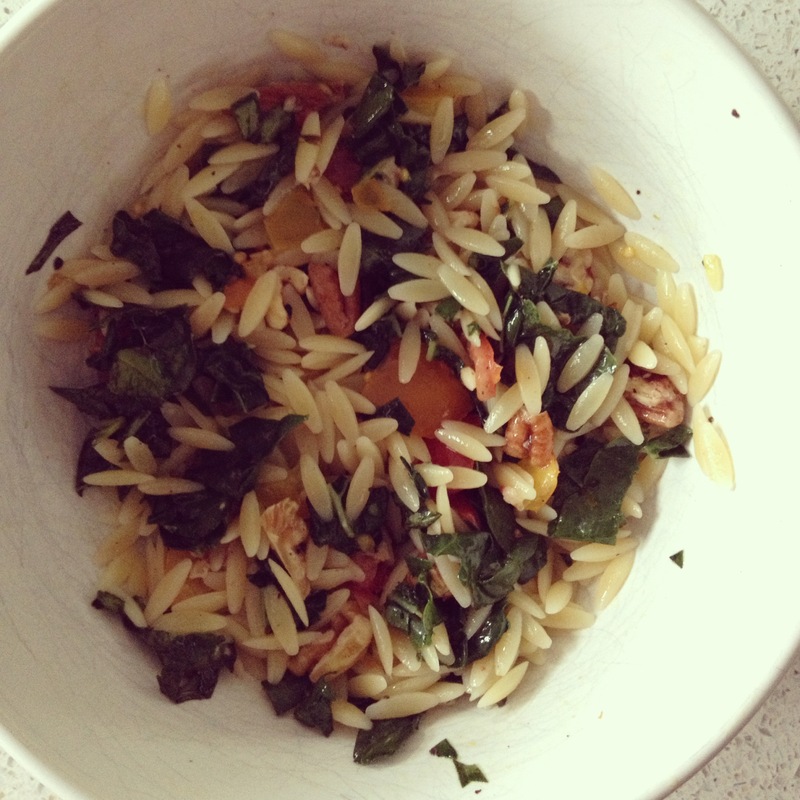 cook the orzo! in a bowl, place nuts, basil and tomatoes, putting the kale in last. when the orzo is done, quickly drain it then add to the bowl. the heat of the pasta will wilt the kale. let sit for a minute then drizzle with good olive oil and toss all together. season with salt and pepper. scarf it down.